Gary Griffith, who was a founder of the Emilio Cigars brand, and then built a nine company distribution arm with House of Emilio has departed. House of Emilio issued a statement on social media announcing Griffith’s retirement from House of Emilio, Emilio Cigars, and his retail responsibilities at Delaware Cigars. 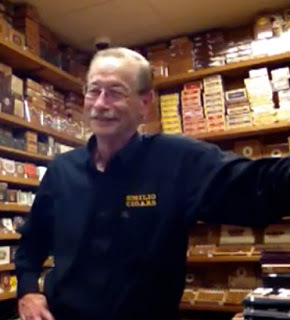 Today’s post is to inform our friends in the cigar industry about the retirement of Gary Griffith from Emilio Cigars, House of Emilio, and Delaware Cigars. Gary was a visionary and a social media marketing pioneer. His time with us was filled with laughter, caring, and many great cigars. Going forward, his legacy will continue through the brands he’s helped, the distribution company he led, and the cigars that he blended. We wish him all the best in his future adventures! Griffith confirmed to Cigar Coop that he is retired from day to day involvement, he will still continue to support and promote the brands that he was a part of. While House of Emilio continues to operate as a distribution arm, it has scaled back to six companies as Rodrigo Cigars, Bodega Premium Blends, and Herederos de Robaina are no longer distributed by them. Hope you get to enjoy the heck out of retirement, Gary. You're a great guy and you are awesome to your customers.